come with a clone turbo tank. 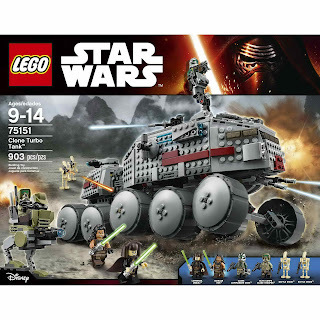 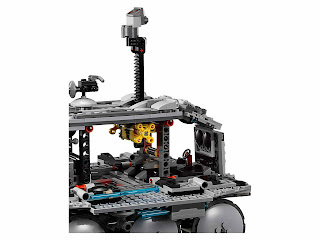 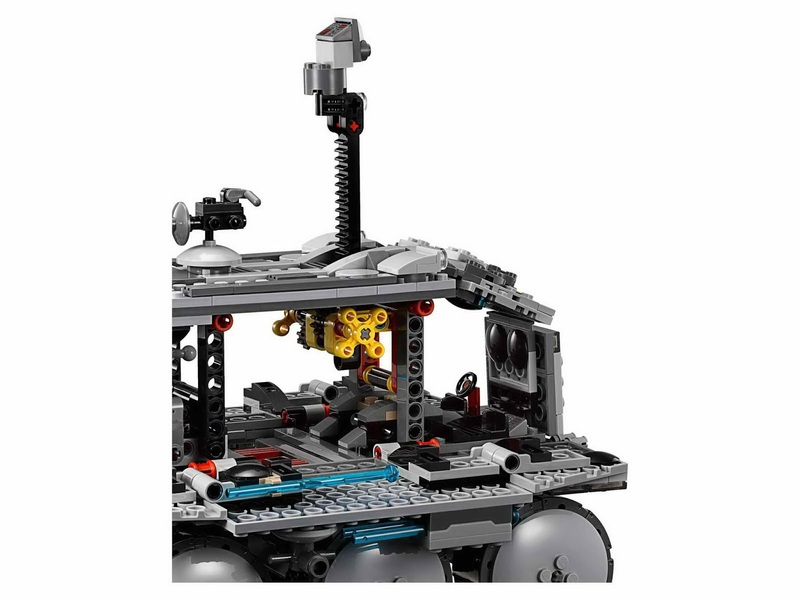 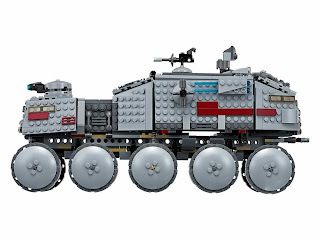 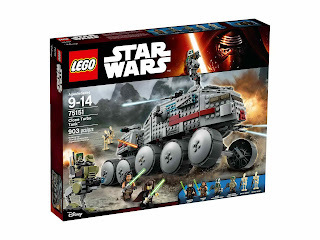 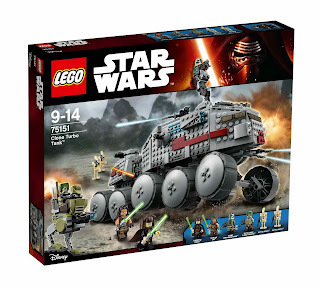 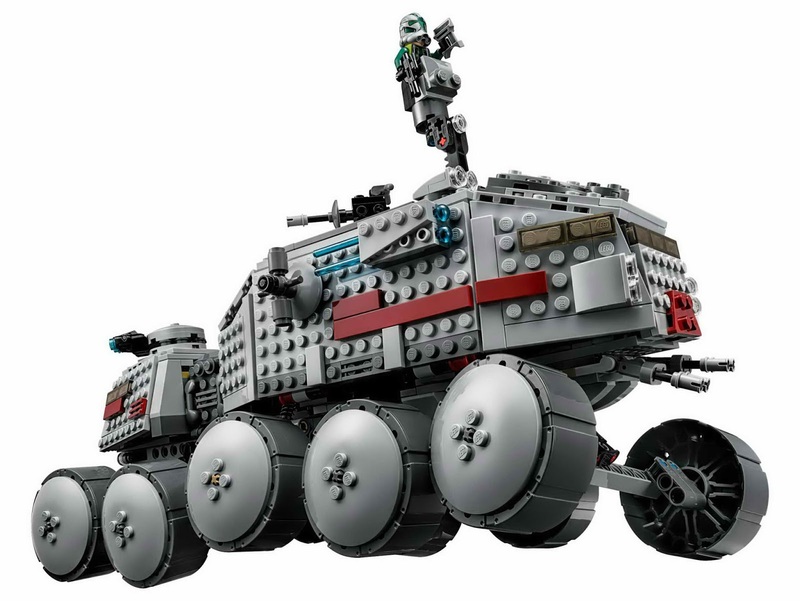 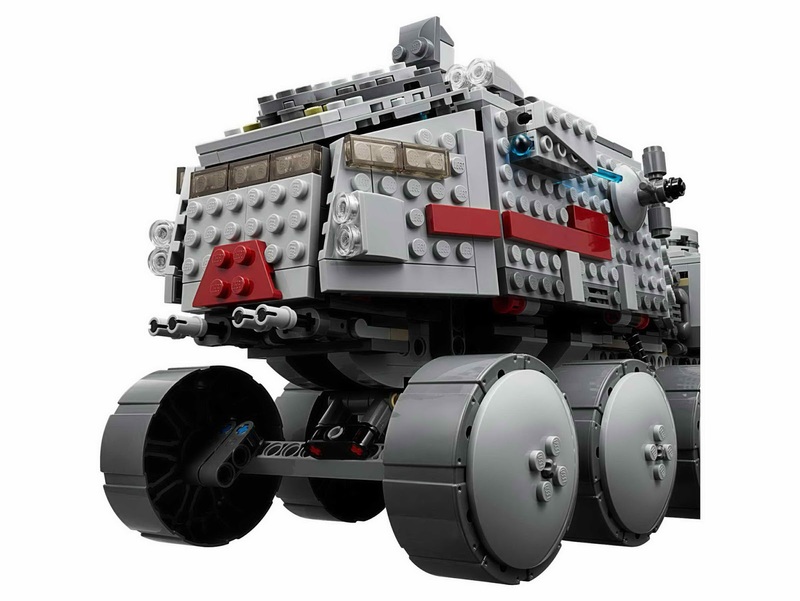 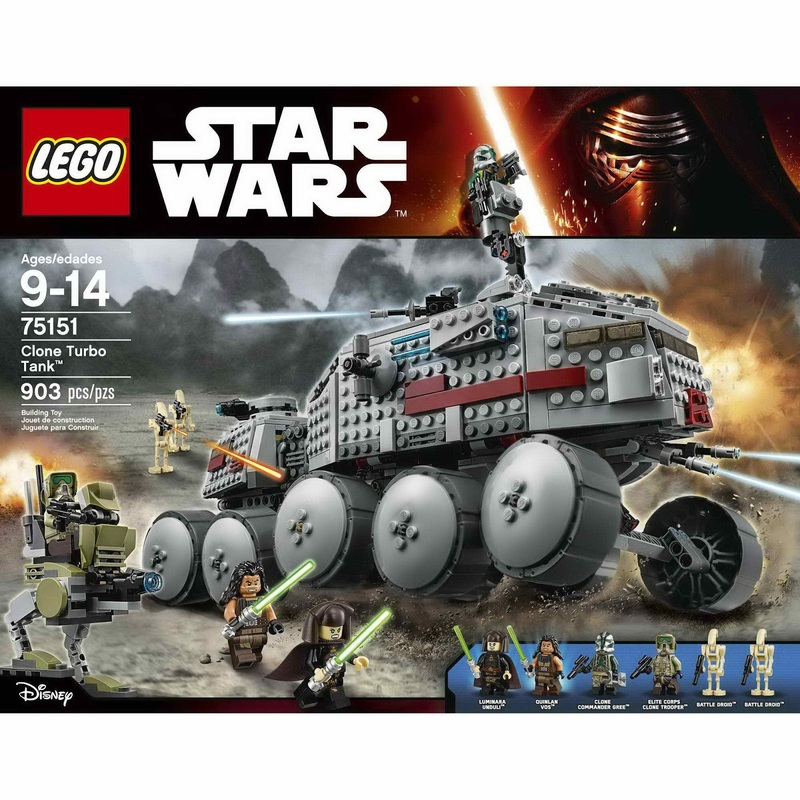 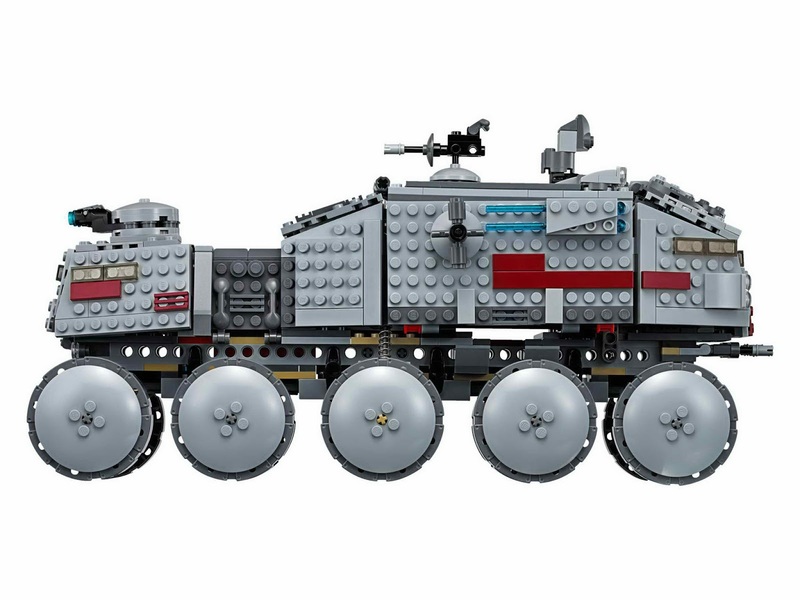 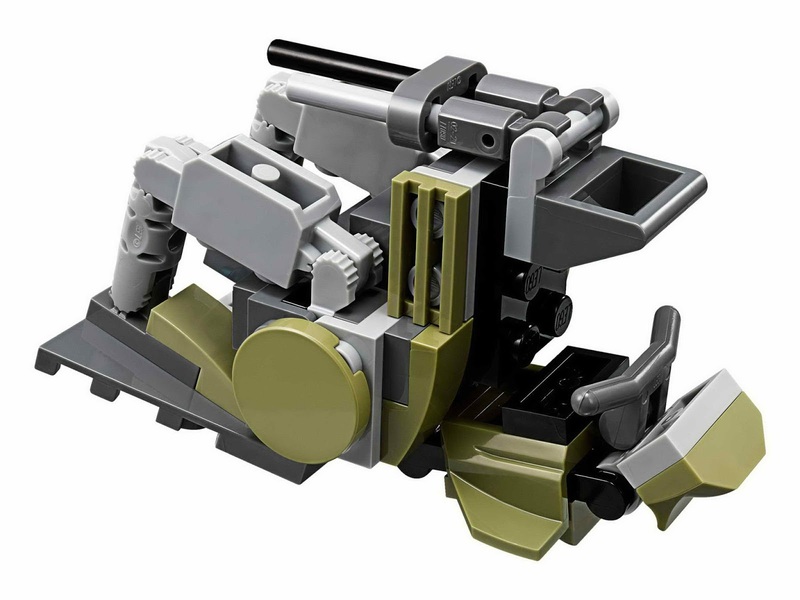 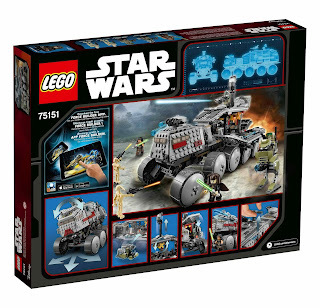 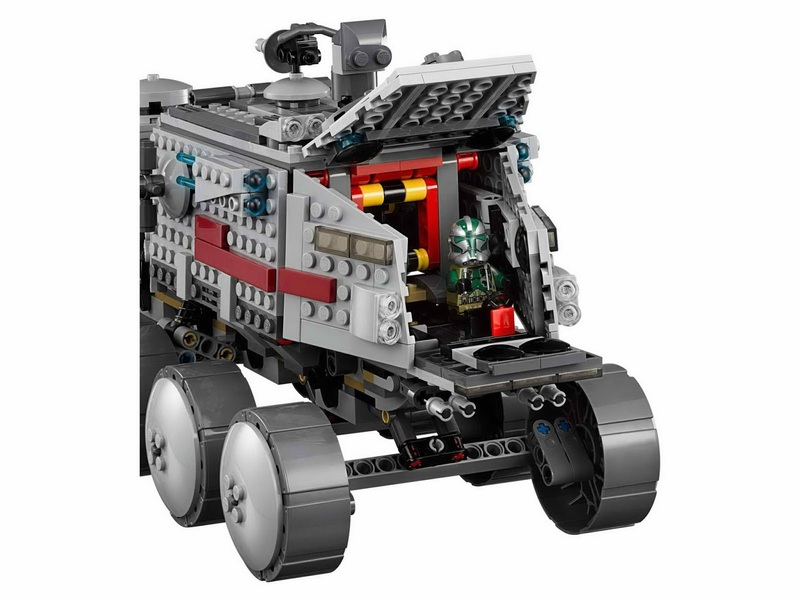 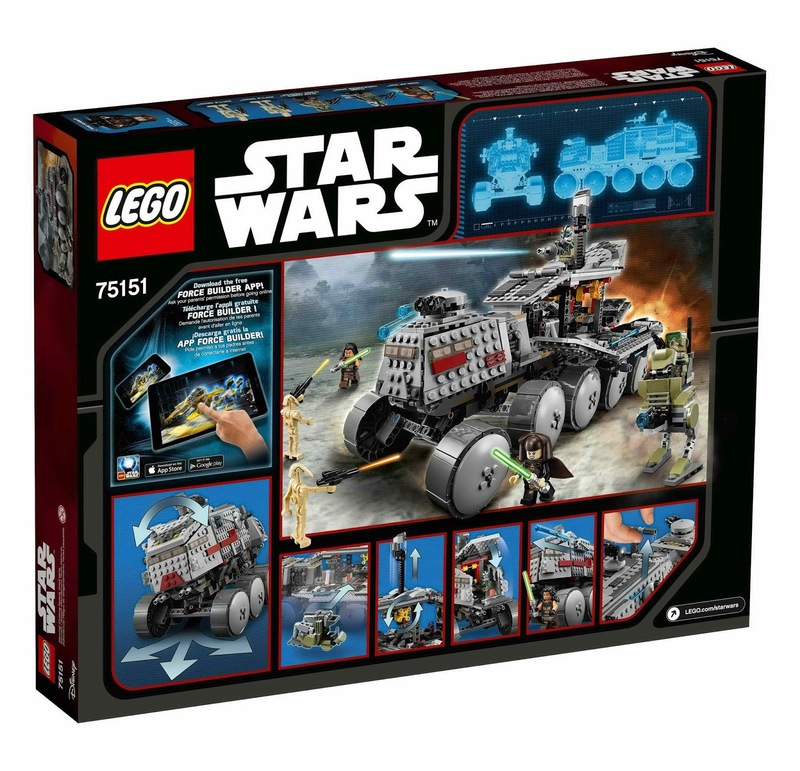 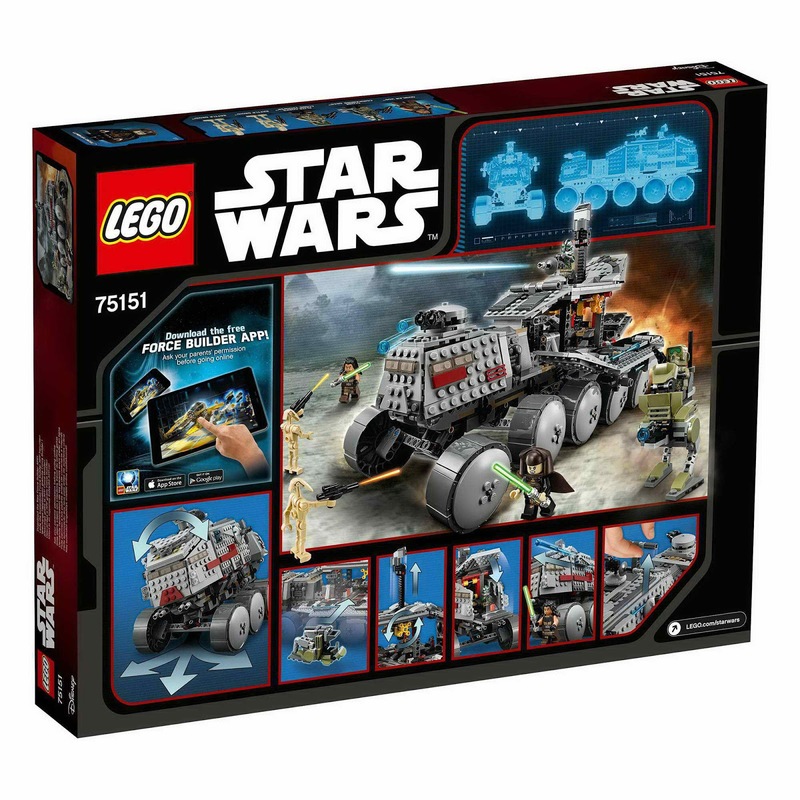 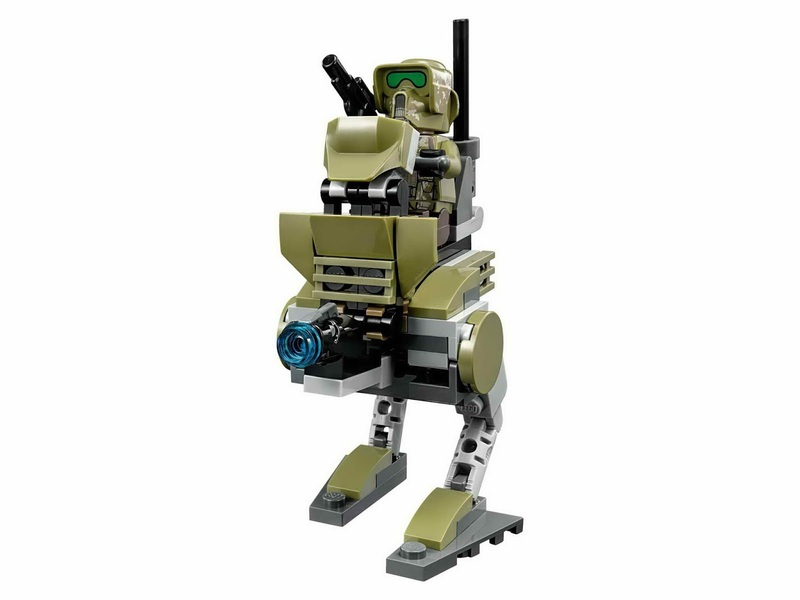 the tank has 10 rollable wheels, flexible suspension, rotatable weapon turrets, spring loaded shooters, an extendaable observation post, dual cockpits, foldable down panels to reveal a detailed interior, a mini at rt with a stud shooter and space for a minifig. 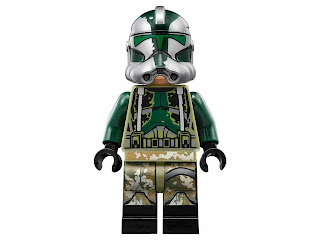 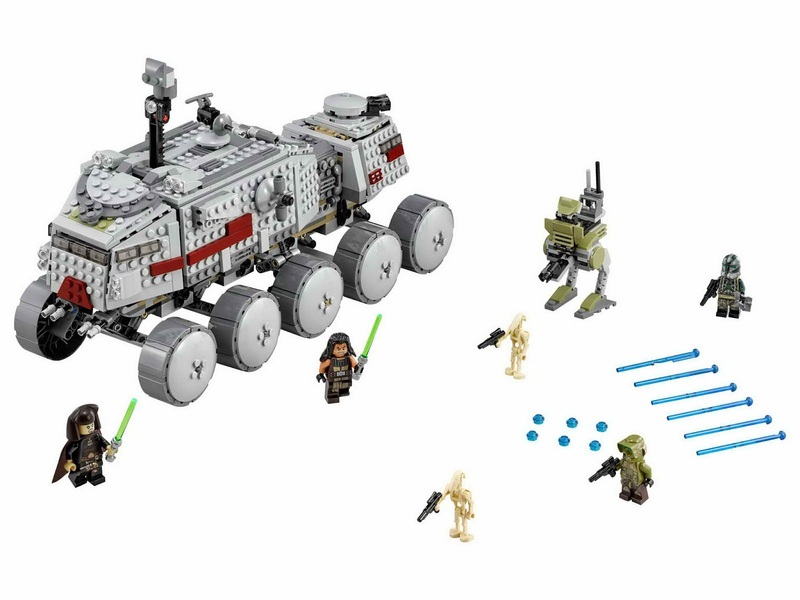 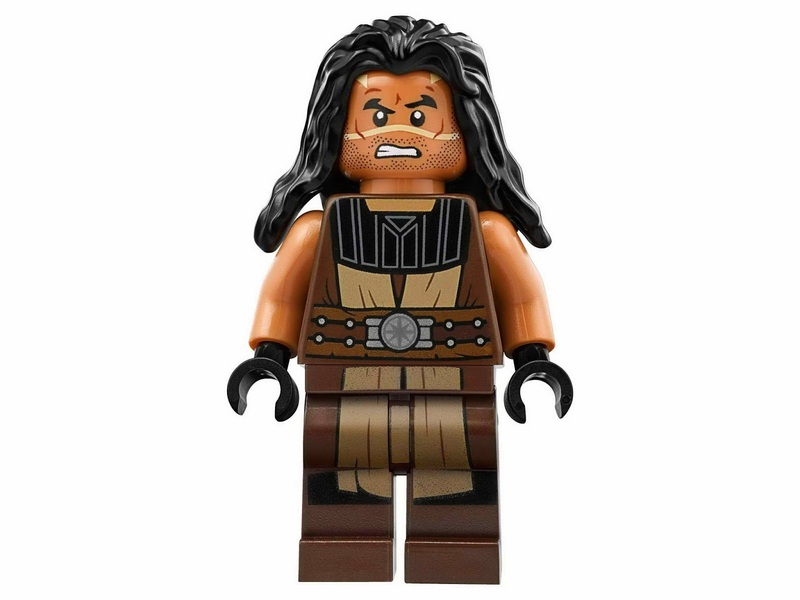 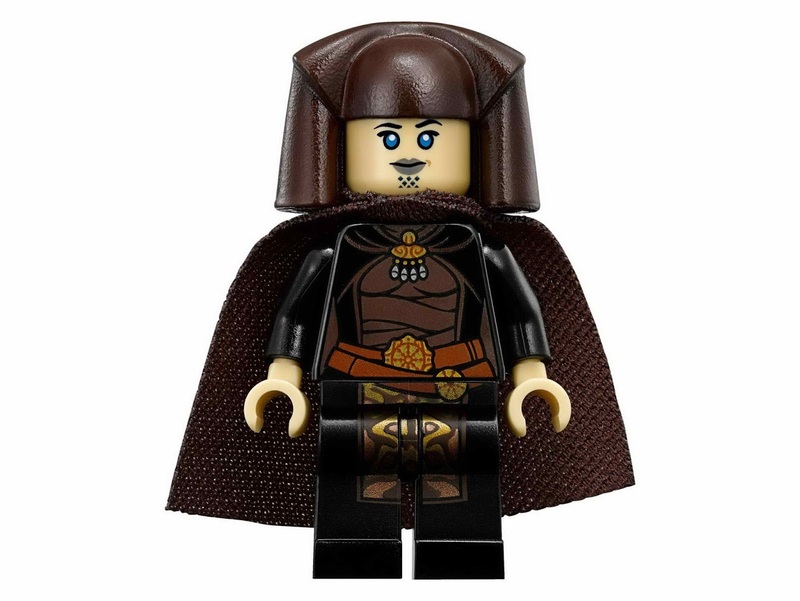 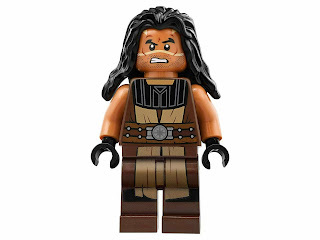 minifigs included a luminara unduli minifig, a quinlan vos minifig, a clone commander gree minifig, an elite corps clone trooper minifig and 2 battle droid minifigs.